So many flavors going on here. 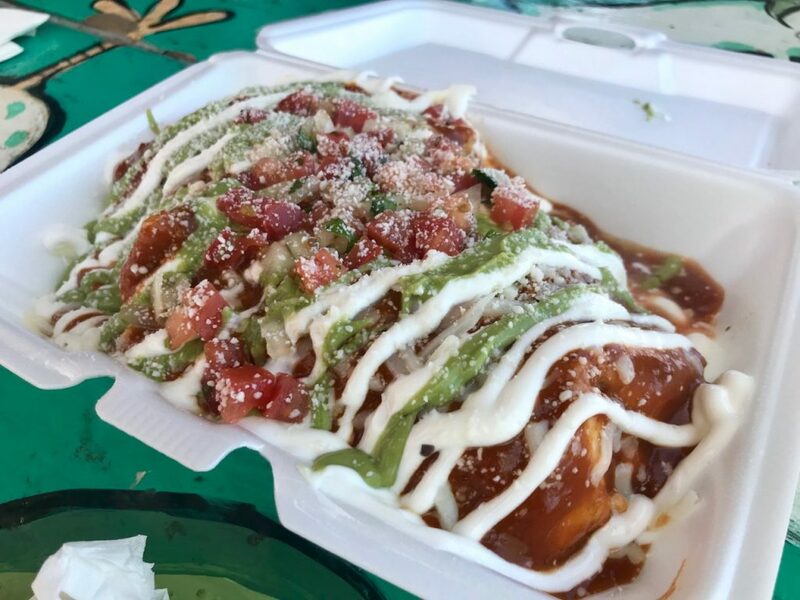 The chilada burrito at El Fat Cat in Kennewick is really delicious. This is something you will want to get when you need to stretch out $8.00 because this is like three meals in one. Or just get it if you’re starving and want something very substantial. If you’re looking for one of the best taco trucks in the Tri-Cities, you need to hit up El Fatcat Grill in Kennewick. Jenny and Felix do up amazing food.